With the help of YouTube, Twitter and Facebook a solo musician or band has the possibility to reach a global audience overnight. At Flashbay we’re huge music aficionados and we have put together the following checklist to help you promote your music. •	Social media: YouTube has made more famous musicians than X Factor. Upload a video for each of your tracks because you never know which one might take off and go viral. •	Your website: Set up a website where you blog regularly about your story, music or even your daily life. People want to connect with the people behind the lyrics as much as possible. •	Collaborate: Connect with other musicians and invite them to collaborate on a track or two. Some of the biggest and most popular songs today have originated from collaborations. •	Get some great photos: During live shows or when you’re on the road take some exciting story-telling photos of yourself and your band to post on your social channels – a picture really is worth a thousand words. •	Free downloads: Don’t focus too much on generating revenue from your songs until you have built up a large and loyal following. To get your songs out there in the public eye you will most likely need to start by sharing them for free. Once you have a dedicated audience they’re much more likely to pay for your music. •	Get creative: As well as social media, you can also ‘distribute’ your music using branded USB devices. Flashbay have we been supplying branded USB flash drives to musicians for years to help promote album releases, giveaways or recordings of live shows. 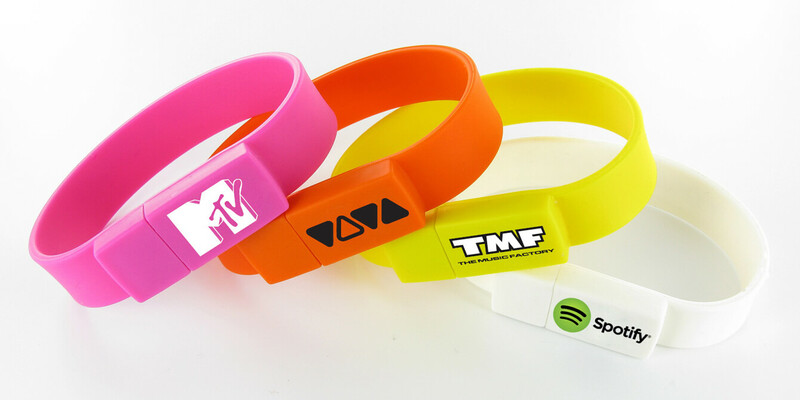 You can even use a USB wristband or lanyard as a cool alternative to a paper ticket or back stage pass. To take promotion of your music to the next level with custom branded USB Flash Drives please complete our Quick Quote form and one of our dedicated Account Managers will be in touch to discuss your needs.